Adorable fanart from my 10 year old cousin. He really likes the game and told me that he plays it every day, but he hasn't managed to get past the first boss level yet. Thank you! This is actually more like my 50th game or something like that, but it's Dennis 2nd game so he's pretty close to instant fame, haha. I don't think we'll be celebrities just yet, though. But it would be interesting to see what that would be like. man, this is an incredible drawing for a ten year old. 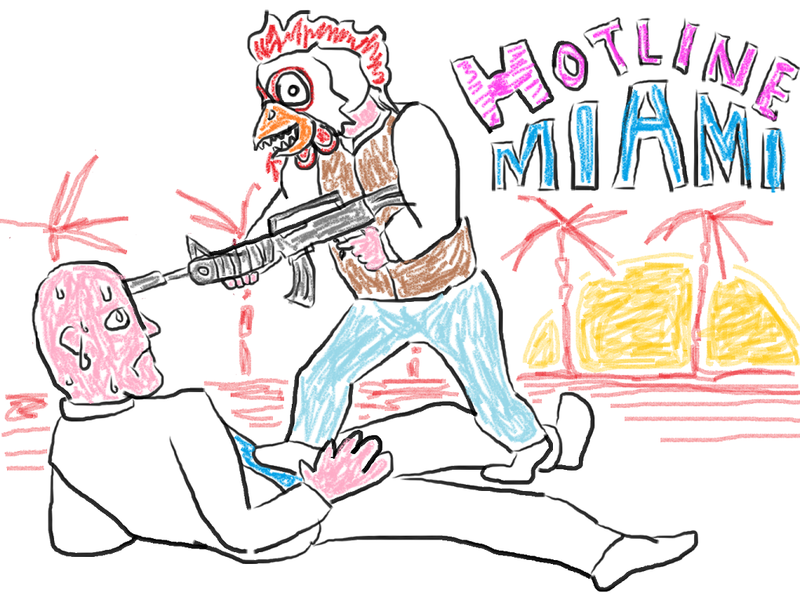 btw i loved hotline miami... seriously, congrats. 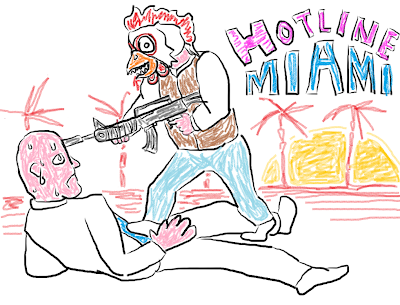 really excited for hotline miami 2.